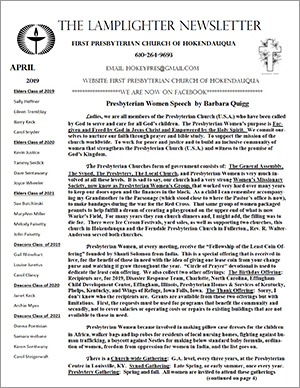 Welcome to the First Presbyterian Church of Hokendauqua! We are friendly, family-oriented church located just outside of Allentown, Pennsylvania. Please check out more about us in the links to the left. Please make your contribution using the blue giving envelope or by including it in with your regular weekly giving envelope marked accordingly. Thank you!